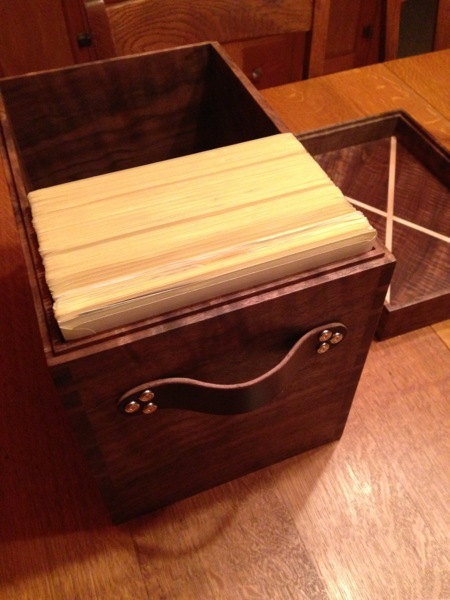 This is a box I built to store my 8"x10" photographic plates. It will sit on a table or a desk, so I wanted it to look good. I chose figured black walnut that a friend of mine gave to me, and used dovetail joinery for an interesting corner look. 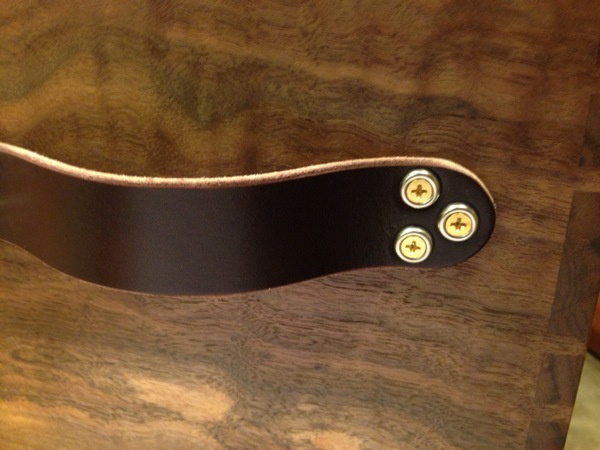 I made the leather handles from English bridle straps, using a U-shaped cutter to make the ends, and then some brass screws and nickel finishing washers to complete the handles. This is a blog to showcase photographs, woodwork, graphic design, letterpress, music, and other personal passions of Ivan Sohrakoff. I'm a maker, and this is the stuff I make.